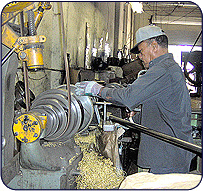 We specialize in Metal Spinning, Metal Stamping and Deep Drawing. With honesty and integrity as our base we provide our customers with a top of the line product regardless of the materials used or the complexity of the work. Unusual parts are no problem at all. 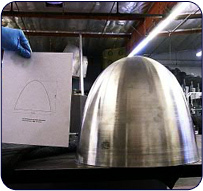 We work in aluminum, stainless steel, copper, brass and many other metals. From parking lamps to old fashioned tire rims, we do it all. You need duplicates or rare parts? No problem. Spinning and stamping? No problem. Just come by, call, or use the quote page here to get your job started. 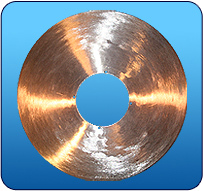 Apollo Metal Spinning has been serving industry for many years and has earned a reputation as a reliable, cost effective metal spinning source. 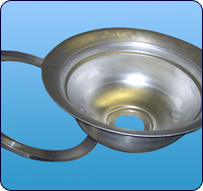 Our focus is on providing our customers with quality metal spun products with on time delivery, innovative solutions, flexibility, and the highest of standards. We work only to specifications provided by our customers. Our only work is service to our customers.